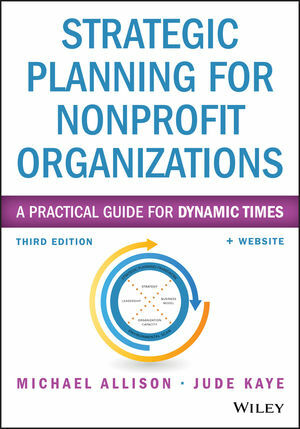 Strategic Planning for Nonprofit Organizations describes a proven method for creating an effective, organized, actionable strategy, tailored to the unique needs of the nonprofit organization. Now in its third edition, this bestselling manual contains new information about the value of plans, specific guidance toward business planning, and additional information about the strategic plan document itself. Real-world case studies illustrate different planning and implementation scenarios and techniques, and the companion website offers templates, tools, and worksheets that streamline the process. The book provides expert insight, describing common misperceptions and pitfalls to avoid, helping readers craft a strategic plan that adheres to the core values of the organization. Different organizations have different needs, processes, resources, and priorities. The one thing they have in common is the need for a no-nonsense approach to planning with practical guidance and a customizable framework. Strategic Planning for Nonprofit Organizations takes the fear out of planning, with expert guidance on the nonprofit's most vital management activity. MICHAEL ALLISON is president of Michael Allison Consulting, an independent consulting practice working with nonprofits and foundations to achieve greater organizational effectiveness in support of progressive social change. JUDE KAYE is an organization development and strategic planning consultant who provides executive coaching for nonprofit managers. A nationally respected trainer, she works with nonprofit agencies on planning, financial management, organizational development, and other areas.